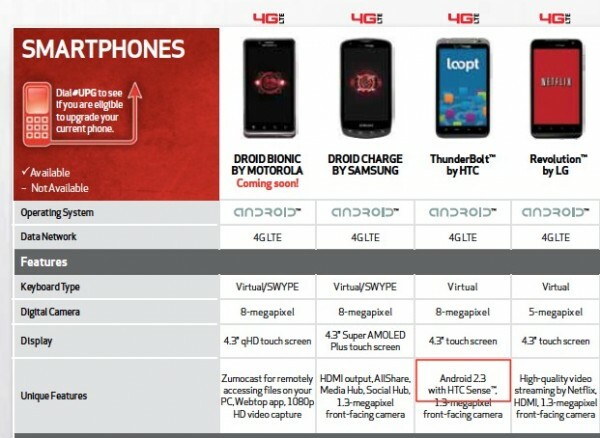 HTC already told us that Gingerbread (Android 2.3) will be here for the Thunderbolt some time in September, but it looks now like Verizon is in agreement. According to the new Fall Guide that is available in stores (or will be soon), you can see that they are listing the device as already running 2.3 instead of the 2.2 that Tbolt owners have grown accustomed to. We still haven’t been given a specific date or anything, but with just 3 weeks left in September, I’d say it should be here any day. HTC Vigor to be Renamed "Thunderbolt 2"? Samsung Prime Replaces DROID Charge?